US Military will be required to provide proof of their active service (Leave and Earnings Statement (LES), recent pay-stub, business card, etc. As Active and Reserve US Military, you are entitled to exclusive new vehicle pricing with our Vehicle Purchase Program. And now we’ve changed VPP pricing to make it SIMPLER and EASIER to buy! This offer provides the opportunity to purchase or lease a new Nissan vehicle. Visit www.InsideNissan.com for details. 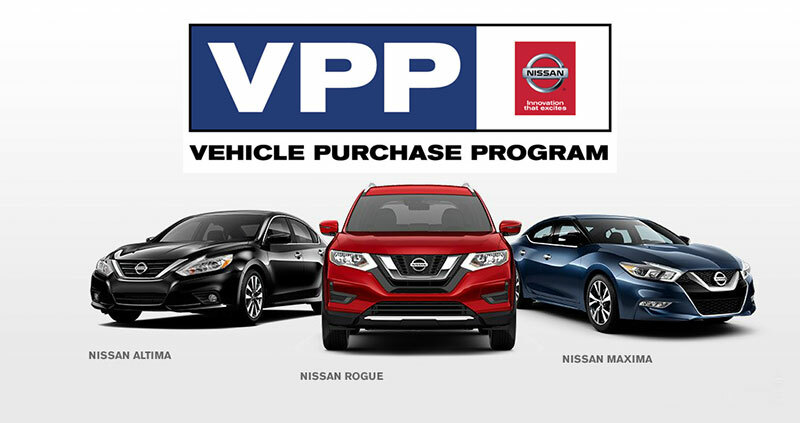 The VPP discount is compatible with all other applicable incentive programs. Eligible participants can take advantage of this program up to two times per year. Discount is not compatible with any vehicle sold or leased to a fleet account.